After 27 years of delivering the weather to TV viewers, Chuck Gaidica is going to be working a little closer to the source. Gaidica, who's been telling us how to dress since 1987 on WDIV-TV (channel 4), is leaving that position in August for the ministry. He'll be joining the Oak Pointe Church in Novi as its pastor of world outreach. Leaving broadcast news for the private sector is hardly unprecedented. Nor is leaving it for the public sector; note how many television and radio journalists have joined political administrations. But it's not too often when one moves from the TV studio to the pulpit. A cynic would argue that speaking into a camera to millions every night is the perfect prep job for what Gaidica is about to embark upon. Gaidica's decision was hardly made in haste or on a whim. Fifty years ago next month, a quartet of Brits was beamed into American homes on the Ed Sullivan Show and life was never the same on this side of the pond. John, Paul, George and Ringo---The Beatles---appeared on Sullivan's show in New York on February 9, 1964. 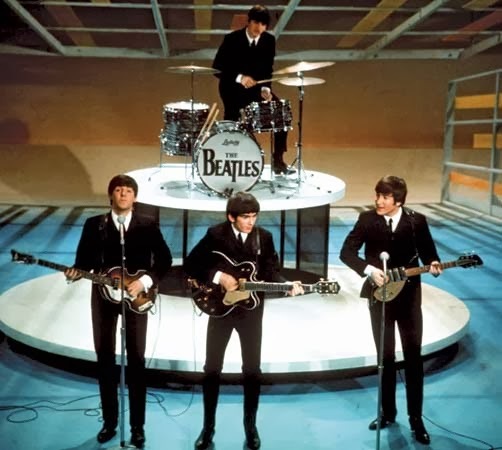 Of course, the Beatles were a hit about a year before that, in the UK, but we Americans, full of ourselves, acknowledge the rock group's coming of age as the date they took the stage on Sullivan's show. Sullivan's TV show was like New York City itself. If you could make it there, you could make it anywhere. Sullivan helped launch Elvis Presley's monster career, and in less famous ways, those of several comedians. But it was the Beatles' appearance that virtually overnight turned John Lennon, Paul McCartney, George Harrison and Ringo Starr into household names. It's all a big joke to Justin Bieber. Dangerous drag racing, drugs, alcohol, resisting arrest? Pfft! The mug shot says it all. Bieber, another young entertainer sliding down the slippery slope of hubris and spoilage, was arrested early Thursday in Miami. With the aiding and abetting of his own father and mother---TMZ reported that Jeremy Bieber, 38, helped block off traffic for the drag race and may have supplied the alcohol, and that prescription drugs Justin Bieber allegedly used came from his mother---the odds are even longer that the youngest Bieber will get his act together anytime soon. In the mug shot after Thursday's booking, Justin Bieber looks like he doesn't have a care in the world---giddy, almost. It's hard to blame him for thinking that way. He's 19, making loads of dough, has the usual protective inner circle that stars often have, and has parents who are his pals rather than his mom and dad. Between them, Russell Johnson and Dave Madden are known, pretty much, for two television characters. That doesn't mean they were flashes in the pan---it just means that the folks they played made an impression that was almost indelible. Johnson was The Professor on "Gilligan's Island." 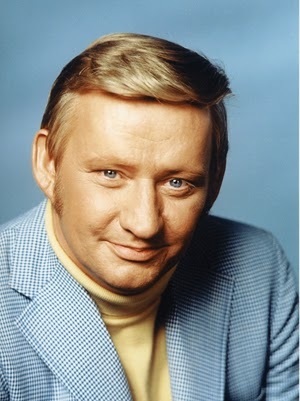 Madden played the "Partridge Family"'s manager, Reuben Kinkaid. Both passed away today. Johnson was 89; Madden was 82. As is typical when lightning strikes and you find yourself in a role that is enormously popular, Johnson was a little known character actor when he signed on to play the Professor on "Gilligan" in 1964. His life, of course, was then changed forever. John Kennedy once said that military victory has many fathers but defeat is an orphan. I think much the same thing is true for monkey shines committed by a politician's staffers. Great ideas and policies have many fathers, but scandals are orphaned. 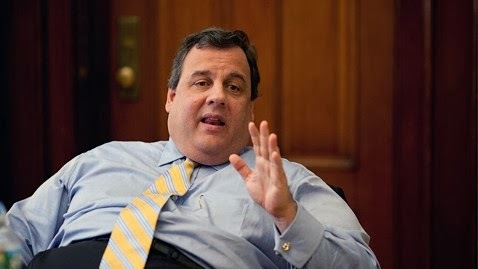 Take New Jersey Governor Chris Christie. Please. The Republican governor and possible presidential hopeful for 2016 has a scandal on his hands. People are getting fired. It's all about what I will call, TrafficGate. Seems that members of Christie's staff---in very high places---ordered highway lane closures back in September that severely hamstrung the residents and commuters of Fort Lee, apparently as retribution for Fort Lee's mayor not supporting Christie's re-election bid. Happy New Year. Or happy new year, however you choose to look at it. As I watched the big ball drop on Tuesday night in Times Square, I jokingly asked my daughter what life would be like if we did that for the change of every month instead of year. But so does, when you think about it, going through all the expense and effort to mark the start of a new year. Or New Year. It's perhaps too cynical---even for me---to say that January 1 is "just another day," but it truly is. It is different, however, in one respect: It's the one day when no one has ditched their new year's (or New Year's) resolutions---yet. There's a funny commercial playing on TV right now where a small boy calls it the New Year's "revolutions."